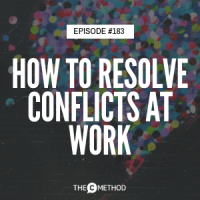 Are conflicts at work having a negative impact on your productivity, your relationships and your wellbeing? In today’s episode I’m re-sharing a conversation I had with the wonderful Sally Wiencke from Momentum Changing Mindsets and Heartfelt Retreats. Sally is a true expert in this field. She has over 25 years of dedicated experience in conflict management, coaching, mediation, group facilitation and training. She is a Professional Certified Coach (PCC) with the International Coaching Federation (ICF), Cinergy® Conflict coach, and Accredited Mediator with Advanced status, Facilitator and Trainer. Her work involves transformational change, where she helps people engage in meaningful and effective conversations to better manage the conflict that exists both internally (within each individual), and externally (between the parties, whether it’s two people, a team or an organisation). 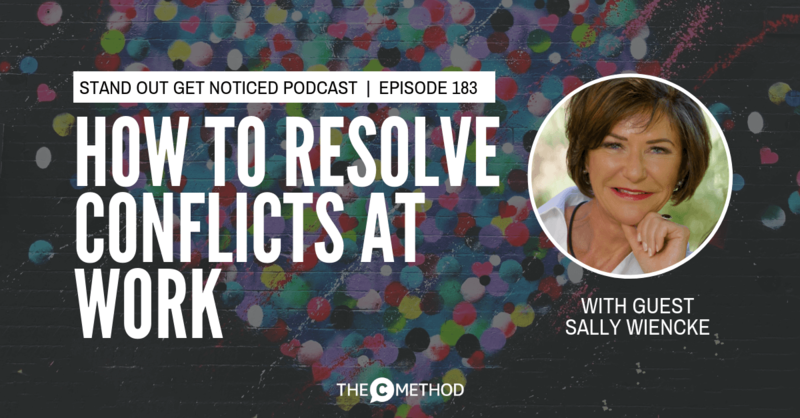 We talk about why conflict occurs, how to manage external conflict (Sally’s got a very useful and powerful 5 step process; download the free pdf here), as well as internal conflict, and the transformational benefits that come from managing it effectively. If you struggle with dealing with conflict — maybe you don’t know how to bring up an issue with someone, or you reacted badly to a situation, or every time you bring something up you end up in an argument and worse off than before, or you find yourself getting anxious, annoyed, frustrated or angry by a certain person’s behaviour…then you MUST listen to this episode.